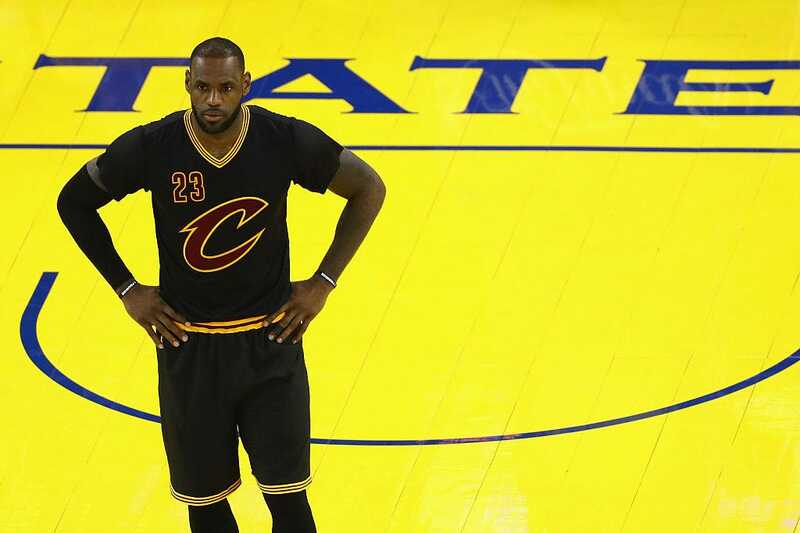 The Cavs made a surprising decision before Game 5 of the NBA Finals when they chose to wear their black, sleeved, alternate jersey for the first time in the playoffs. ccording to Dave McMenamin of ESPN, the NBA has a rule that forbids teams from wearing dark jerseys during home games. The NBA does not allow the home team to wear a dark-coloured uniform from their jersey set during home games in the Finals — so the Cavs will be wearing either white or gold jerseys for Game 6. The original decision to wear black was surprising for a couple of reasons. For one, it was the first time ever that sleeved jerseys had been worn in the NBA Finals, and considering athletes are creatures of habit, that seems like a strange time to change something as fundamental as jersey type. But it was also surprising because it was clear earlier this season that LeBron James did not like the sleeved jerseys. When the Cavs first wore the jerseys in November against the Knicks, James started off 0-3 from 3-point range and promptly ripped the sleeves on both arms. 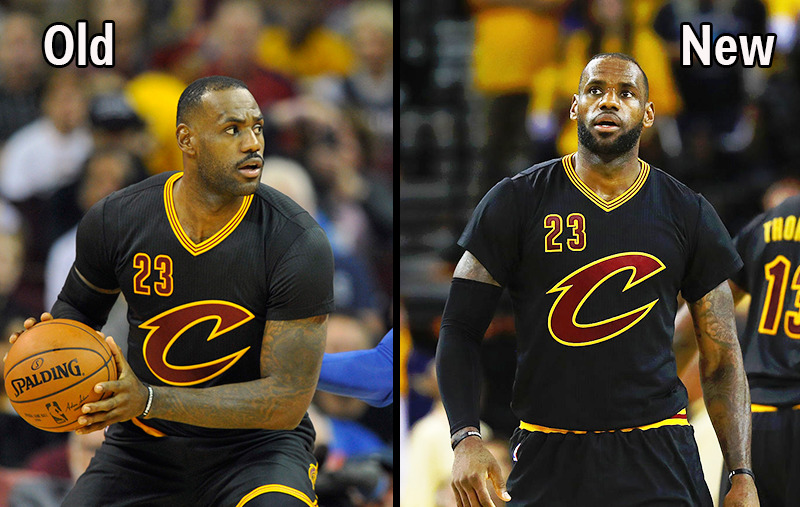 At the time, LeBron tried to blow off the significance of the sleeves. However, Mark Cashman, the Cavs’ director of team operations, had a seamstress fix the jersey to be more to LeBron’s liking, according to Dave McMenamin of ESPN. After that first game, there were no further issues in the regular season. As you can see here, the sleeves on the new version are not nearly as snug as the skin-tight sleeves when the Cavs first wore the black jerseys. Fast forward to the NBA playoffs and the Cavs cruised in the early rounds, winning their first ten games of the postseason while wearing white jerseys at home and navy blue on the road. But when the Cavs fell behind the Warriors 3-1 in the Finals, Cashman asked LeBron if the team could try the black jerseys in Game 5 as a change of pace — the Cavs were 5-1 this season in the sleeved jerseys — and James gave the go-ahead. James didn’t have any issues with his shooting this time around, scoring 41 points in the win. But thanks to the NBA, if the Cavs are going to get any more good mojo from the sleeved jerseys, it is going to have to wait until Game 7.